I don’t know what it is about this time of year but I love harvest smells and tastes. 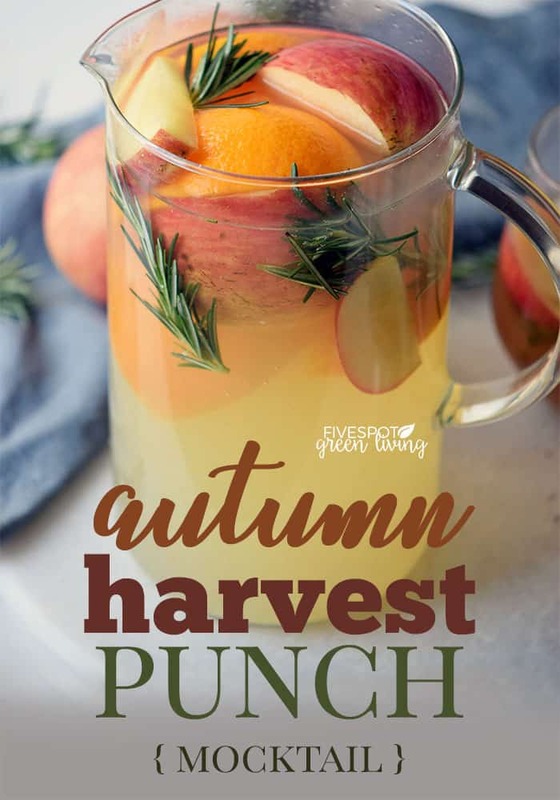 This Autumn Harvest Punch would be so yummy either cold or warm! You can serve it up like the photo or simmer it in the slow cooker for a few hours. 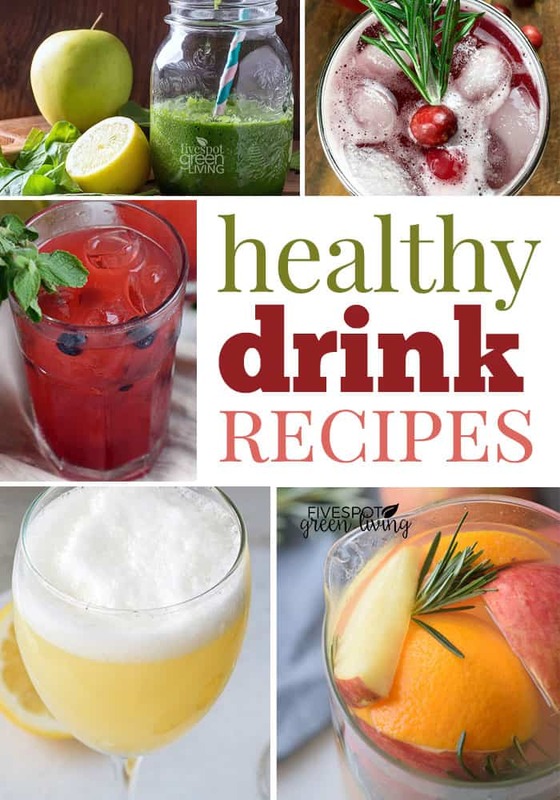 Find more healthy drink recipes here. This time of year I always want something warm, but not necessarily tea or coffee. 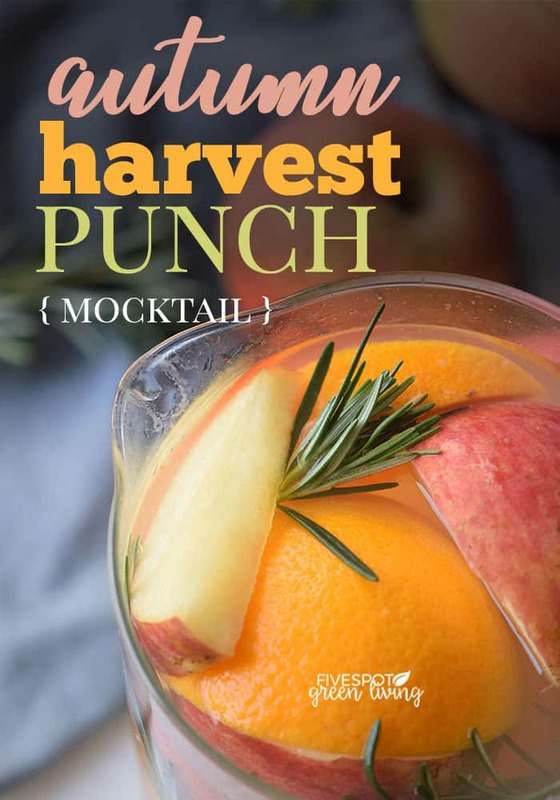 This autumn harvest punch uses lemonade and orange juice and REAL fruit! How about that. 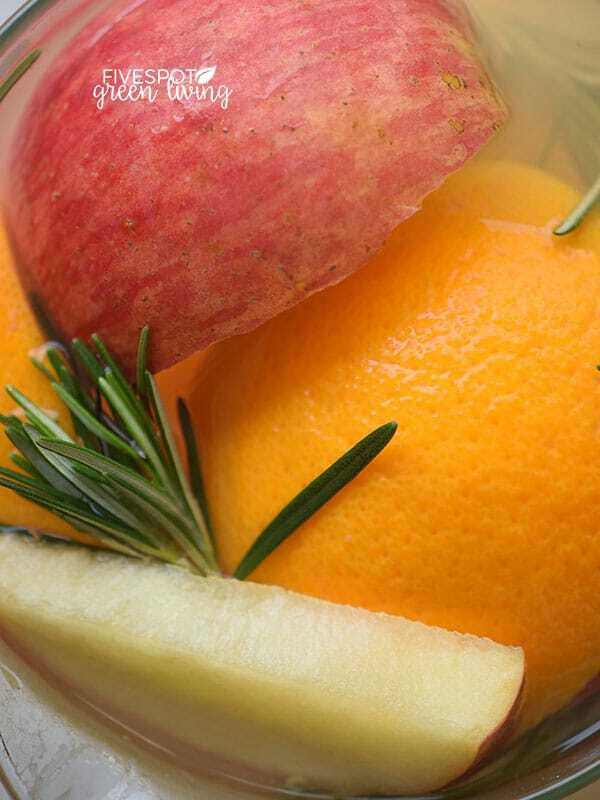 Infuse the flavors and juice from real fruit by simmering this punch all day in your slow cooker before serving. 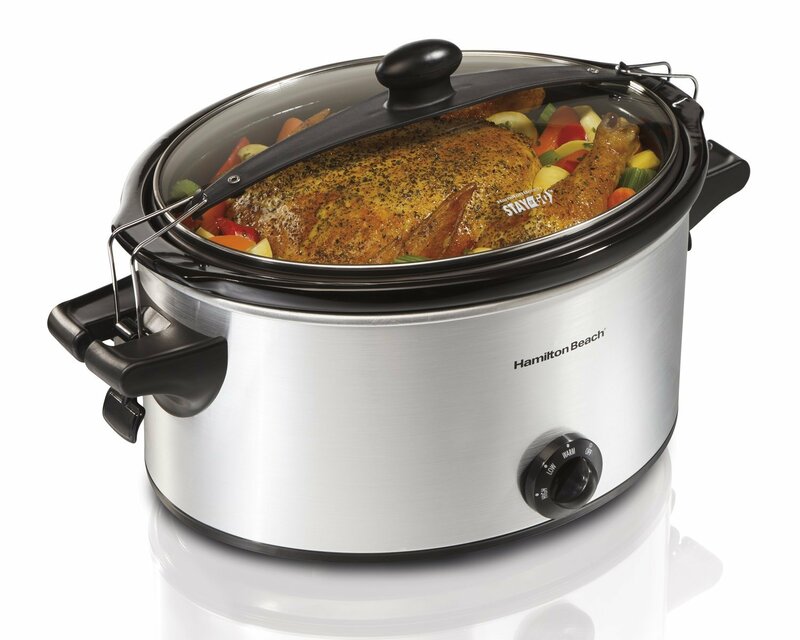 Here’s my favorite slow cooker because you can leave your food or beverages cooking all day on low or high. It’s no frills but it’s also less than $30 right now on Amazon! Another reason I love this punch is it actually LOOKS like autumn, doesn’t it? It has all the colors of my front yard right now. You may think about skipping the rosemary, because it’s just a pretty addition, right? 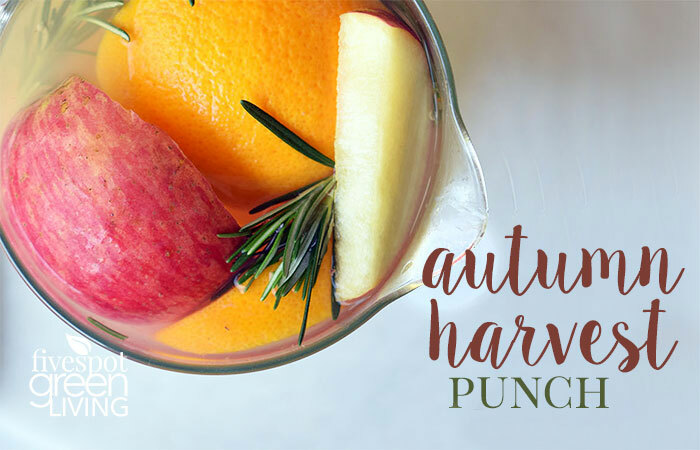 But before you do, think about all the health benefits of rosemary and how much more FLAVOR it will add to this amazing autumn punch recipe. Do you have those weekends where you are just hanging out with your family and it feels so much like fall and you just want something yummy but not really wanting to bake anything? This is such a fun, healthy treat to give your family! You can even make it on a Sunday and have it all week long! 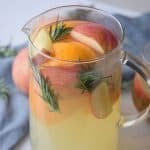 In a tall pitcher mix the apple cider with the orange juice and lemonade. Set aside. Cut the apples and the oranges and add them to the pitcher. Mix in the maple syrup and add the rosemary sprigs. Cover and take to the refrigerator for 2 hours or until chilled. Add the sparkling water and mix. The longer you keep the punch in the fridge the bigger the punch of flavor. You can make it overnight to serve in the afternoon. 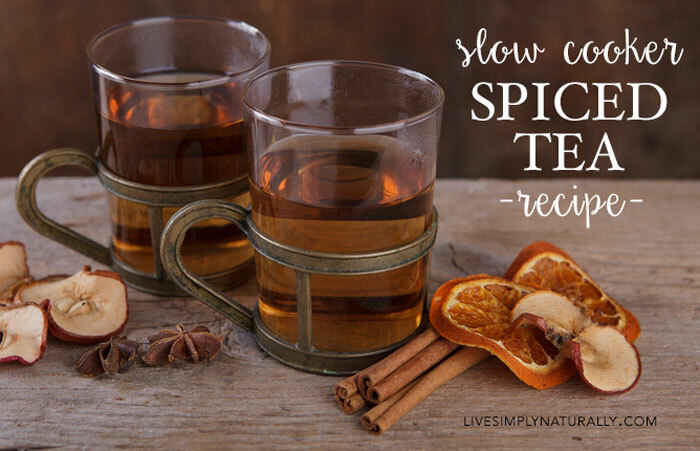 You can also add 2 cinnamon sticks to make it spicier. The longer you keep it in the fridge the bigger the punch of flavor. You can make it overnight to serve in the afternoon. You can also add 2 cinnamon sticks to make it spicier. Hey thanks for sharing autumn harvest recipe..
What delicious fall flavors. This is delicious! This was great we served it to the kids after our Bonfire Night party and they loved it. The designated drivers did as well. What a beautiful front yard you have! And what a fabulous Autumn Harvest Punch. I was hosting a few friends here at the house, and your recipe received rave reviews. It was so delicious that I’m planning on making it again next week as one of our Thanksgiving beverages. I’m so lucky I found it in time for the holidays! Oooh! This was such a great recipe! I loved it! I love the flavors in this punch! It’s perfect for Fall. I LOVE Mocktails! Anytime of year, especially the during the holidays. Not for the kids, for me! Thank you for the new recipe. Love these and want to try them all. Thanks for sharing at To Grandma’s House We Go DIY, Crafts, Recipes and More Wednesday Link Party. I pinned this! Hope to have you join again next week! This sounds like a perfect fall treat. Lovely share! Thank you for sharing with us at Fiesta FRiday! Thank you for sharing this recipe at Create, Bake, Grow & Gather party this week. I’m delighted to be featuring it at tonight’s party and pinning too.